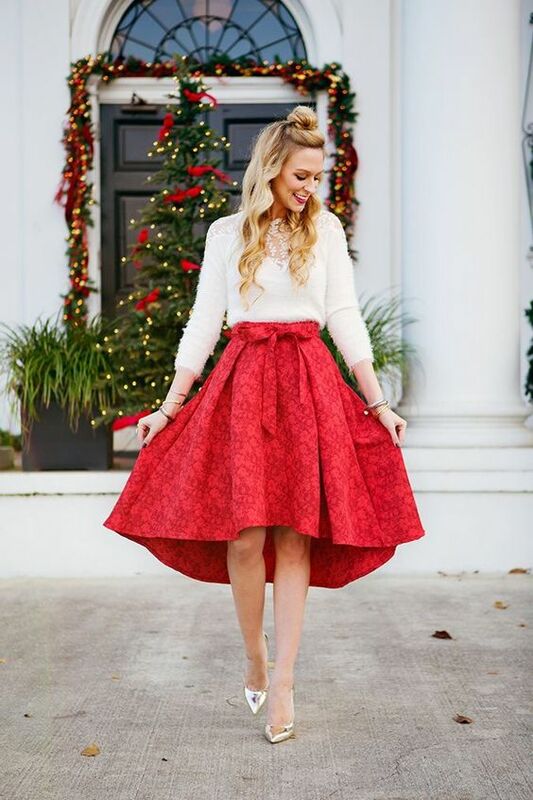 10 Holiday Party Outfits That Will Make You Stand Out! Have you been invited to a few different holiday parties? You’re probably wondering how you can pull off a unique look for each one without appearing overdressed. Plus, you’ll need some stunning eye makeup to go with it. Whether you’re mingling with coworkers or spending time with family, here are some classy, versatile looks. They cover all of the hottest trends, from tulle skirts to velvet dresses. Red is a classic holiday color that never goes out of style. Turn an elegant red skirt into a statement piece by pairing it with a simple, white top. Long sequin skirts are both fun and sophisticated. Add a subtle pop of color, and all eyes will be on you as soon as you walk in the room. You could also wear a sequins blazer, shirts, or skirt with black so you really shine! It’s not always easy to pull off polka dots, but it’s possible! Incorporate a polka dot skirt or scarf to add a playful flair to your look. Over the knee boots are so in-style right now. Pair them with a short holiday dress or skinny jeans. You’re sure to stand out with these holiday party boots! What’s more festive than a tulle skirt? Pair it with a cozy sweater or scarf for an ensemble that’s both stylish and comfortable. 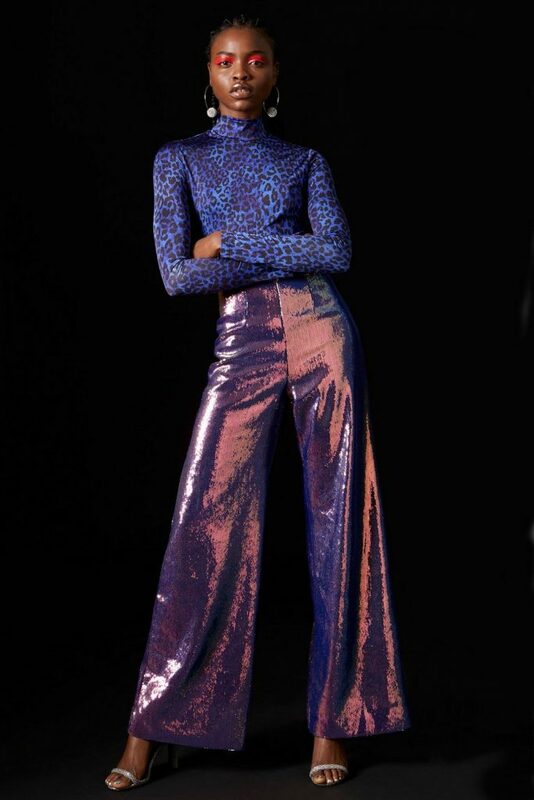 Make a bold statement by wearing a stylish holiday party outfit with hologram. Now, don’t make the whole outfit hologram, with the exception of a dress. There’s no doubt you’ll be the center of attention in an outfit like this from topshop.com. Like many other trends from the ’90s, velvet’s coming back in a big way. It’s finally time to break out your wine velvet dress again and wear it with some modern accessories. Don’t be afraid of stripes – just wear them with solid colors to create a cohesive, understated outfit. Red and white stripes are also cute for a candy cane-inspired look. Keep it simple with an old holiday staple: plaid. 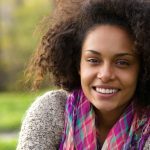 Depending on the pattern, there are many different colors you can wear with it like white or black. Tired of red? 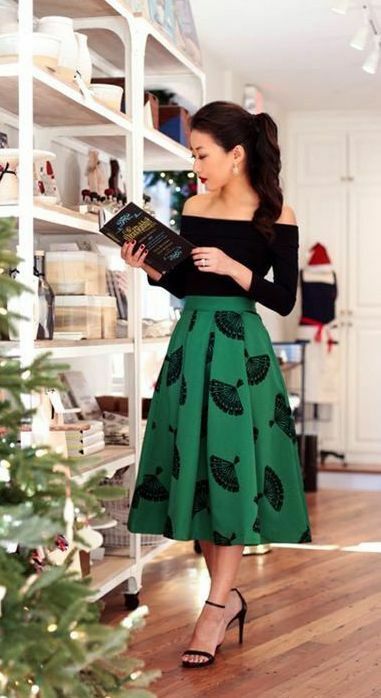 Go for green holiday party outfits instead. A long green skirt, completed with a black sweater and heels, exudes elegance. Which one of these stunning trends is your favorite? Or have you already planned all of your holiday party outfits for 2018’s winter season? Share them with us – we’d love to see! Previous Article$15 & Under Sephora Black Friday 2018 Deals!Next ArticleThe 12 Best Christmas Movies On Netflix You Have To Watch! Thank you! Your Siamese cats are adorable.